We teach athletes, parents, and coaches to use the 5 E's philosophy as guiding principles while playing sports - on and off the field. We make it easy for players and parents to communicate with their team and coaches. That's why we use the TeamSnap app. Engaged Athletics participates in Kansas City's NKCA Baseball League and USSSA Tournaments for competitive A, AA, and AAA play. Blair Johnson grew up in Topeka, Kansas. Blair has played 8 years professionally and has acquired over 15 years of coaching/instruction experience. 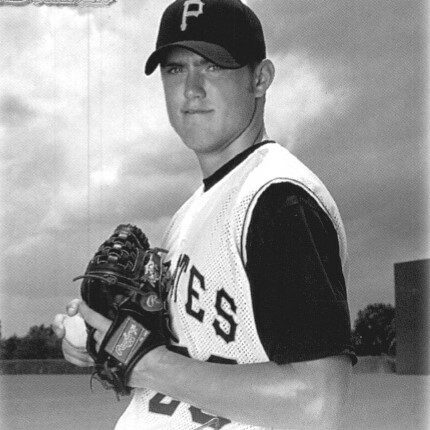 Drafted and signed with the Pittsburgh Pirates in 2002, he was the 2nd round, 42nd overall pick in the MLB draft. Blair also signed a national letter of intent to play with the Nebraska Cornhuskers. He’s earned numerous achievements including the 2002 Kansas Gatorade Player of the Year, Pirates Top 10 Prospect, and the MiLB Top 100 Prospects. Along with his baseball career, Blair is the owner/creator of the Armory Pitching Performance Program which is among the world leaders in developing high-level throwers in all facets of development. Mike Burdick graduated North Kansas City High School in 1993. During his time at North Kansas City High School, he earned two varsity letters, first team All-Conference, and All-State. After high school, Mike received college offers and was approached by a MLB farm team. Mike decided on a full scholarship to Maple Woods as catcher. After getting married and starting a family, he began coaching and has 18 years of experience at all ages and levels. Over the years, he has been the head coach/owner of the KC Red Sox, head/assistant coach for Millhouse Baseball and head coach/owner for Missouri Tide. Mike also has many years of individual hitting and catching instruction. Shaun went to Wichita Northwest High school. He lettered 3 years while he played baseball and was All City and All State in 2009. After his time at Wichita, Shaun played at KCKC from 2009 – 2012. There, Shaun receive the All Conference Award in 2012. From there, he transitioned to play at Park University. While at Park, his batting average was 300 and he won the Gold Glove Award during his time there in 2012 – 2014. Ben started his career in baseball while at St. Pius X and quickly earned 2x All-State Pitcher and OF. After high school, Ben played at Rockhurst University as a pitcher and an outfielder. From there, he gained reputable experiences with the KC T-Bones, Peoria Explorers, Southern Maryland Blue Crabs, Trinidad Triggers (2014’s All-Star Pitcher), and the Garden State Greys. After his college career, Ben started coaching for multiple teams and organizations: Pitching/assistant coach for Tucscon Saguraros, hitting coach for Pembroke Hill High School, and coach for Building Champions 17U baseball team. 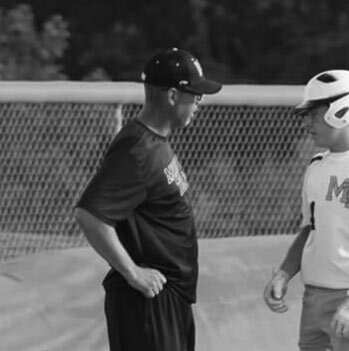 Now, Ben continues to train athletes and help them grow in the game of baseball. Joshua played for Lee’s Summit Senior High as third base, shortstop, and catcher for four years. After his time with Lee's Summit, Joshua played for the Kansas City Monarchs as a 3rd baseman in the M.I.N.K. league. From there, he played as a starting catcher and DH for Wentworth Junior College his freshman year of college and was picked as team captain at the end of that spring season. Joshua then took time off baseball to finish his college education at College of the Ozarks. Joshua now continues to play in the KCABA league where he has been chosen for the All-Star game two years in a row as a catcher. Hector started his career in baseball with the Chicago Cubs Academia in the Dominican Republic from 1996-1998. From there, Hector played for Hialeah High School in Hialeah, Fl in 2000, Florida Memorial University in North Miami, FL in 2002, and Lambuth University in Jacksonville, TN in 2003-2006. After playing high school and college ball, Hector transitioned to play for the Kansas City Pirates and The Naturals where we gained valuable experience on the field. Moving forward, Hector began coaching included The Dodgers, 9U Assistance Coach (2014-2015), Between the Line Baseball Academy, 15U Assistance Coach (2016), Yard Baseball Club, head coach for 14U (2016), and Yard Baseball Club, lead pitching instructor for 18U (2017 - present).